With roughly 6″ of yarn left, I knew this project was right when it spoke to me. Sometimes the yarn does that, it tells me what it wants to be or who it wants to be gifted to. This yarn, small balls of got pink, black, and silver, said “roller derby”. 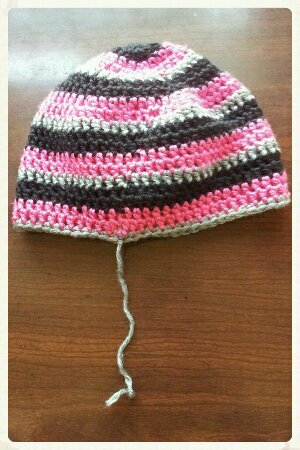 This entry was posted in coming soon to the shop and tagged black, pink, roller derby, silver, yarn. Bookmark the permalink.